Vascular surgeons only perform procedures on a small percentage of patients that they see. 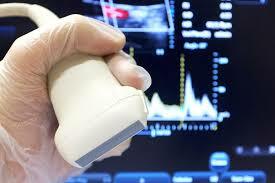 The primary goal of The SAVE Clinic is the PREVENTION of vascular disease and its complications. 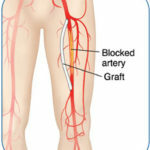 Therefore, it is never too early to be seen by a vascular surgeon if you have the risk factors for vascular disease such as being over the age of 50 with high diabetes, high blood pressure, high cholesterol, a history of smoking, heart disease, or stroke, or a family history of these problems. When procedures become necessary to correct blockages within arteries, minimally invasive techniques can often be performed. In many cases, these procedures can be performed in the comfort of our office and patients go home the same day. Patients at high risk for complications may benefit from having these procedures performed in a hospital setting. We strive to make patients' experience as smooth as possible when visiting our partner hospitals. Vascular surgeons are the only specialists trained to perform every possible treatment for vascular diseases, including open surgery when necessary. In some patients, minimally invasive procedures are not sufficient to restore blood flow or prevent complications of aneurysms. In these situations, we perform any necessary open surgical procedure at one of our partner hospitals. Surgical procedures include arterial bypass, aneurysm repair, carotid endarterectomy, and dialysis access creation. Do you or someone you know have peripheral arterial disease? Would you like more information or to schedule an appointment? Use this secure form to contact us and we'll get back to you at your convenience..